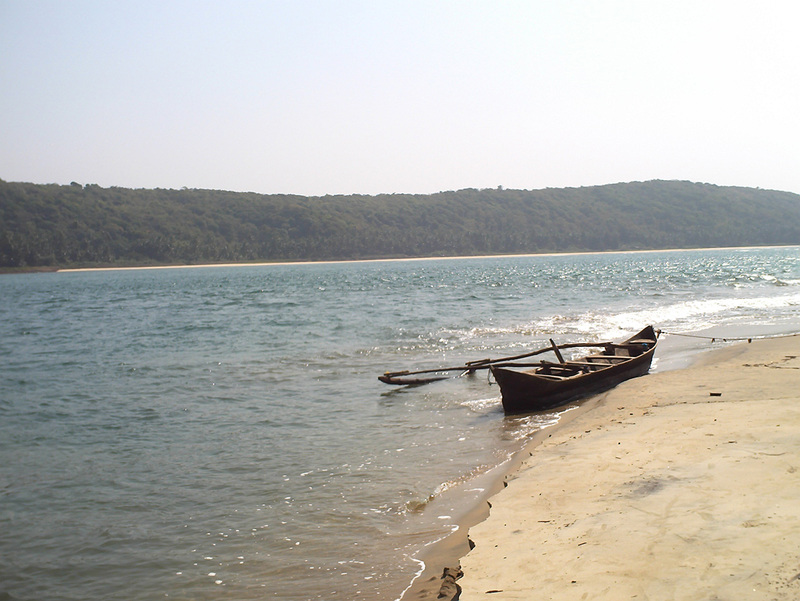 Explore the official holiday and tourism website for Kokan with stunning coastline that is the essence of the natural beauty of the region. 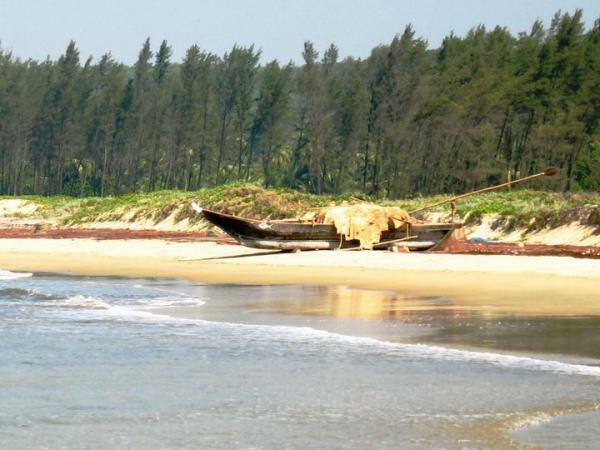 Covering approximately 800 kilometres of coastline, you can experience many of Konkan's top attractions, best beaches and favourite family holiday destinations here on the Coast. 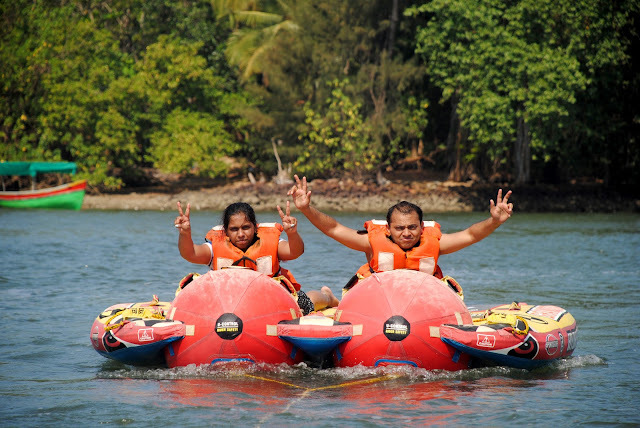 Call us now and book your stay & Water Sports Activities. 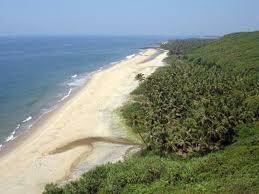 The Agenda of this site is to Promote Tourism in Sindhudurg for People. In Tourism We provide Water Sports,Snorkeling,Scuba,Booking of Best Hotels/Motels/Resorts,Sightseeing,Backwater trips,Transport services & Guides. 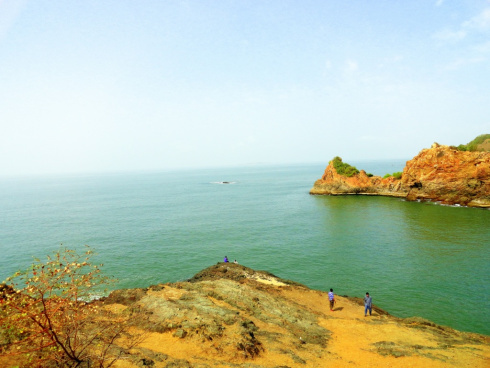 This Place is a small village located, next to Tarkarli, around 10 km away from Malvan town. It has Arabian Sea on one side and Karli river on the other. The nature has gifted Devbag with a ravishing confluence of Arabian Sea and Karli river. 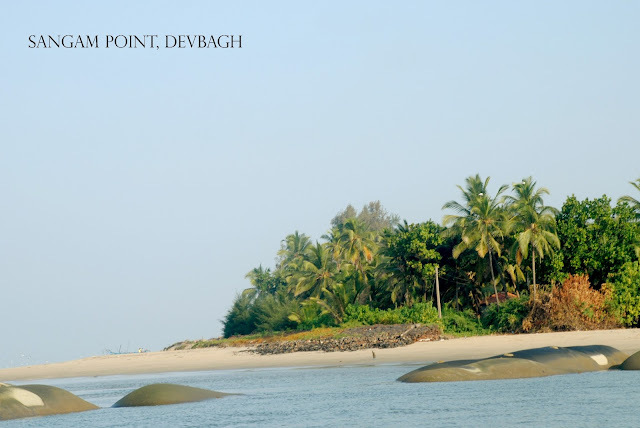 Devbag’s long stretch of beach, garnished with pearl white sand, is a treat to the eyes. A good time to be on the beach is evening, when the Sun immerse itself into the horizon. 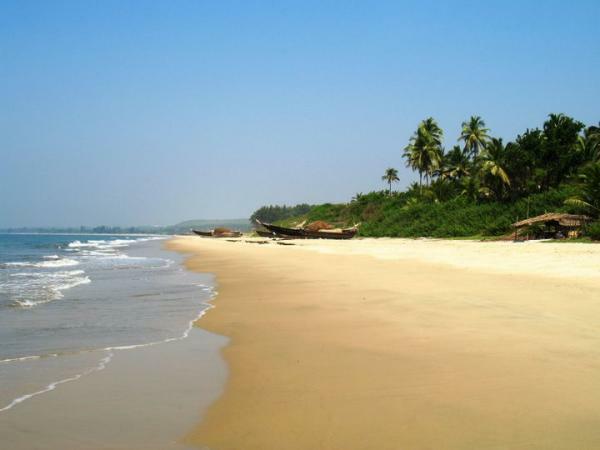 The land has a dense vegetation, full of coconut and cashew trees, which creates a pleasant atmosphere. Indeed, Devbag (God’s Garden) has a divine touch of the nature. Winter is the best season to visit this place. From October, one can enjoy splendid weather and water sports activities like snorkeling, scuba diving and especially Dolphin safari. In other seasons, Devbag is a perfect place to relax, seek solitude and peace. 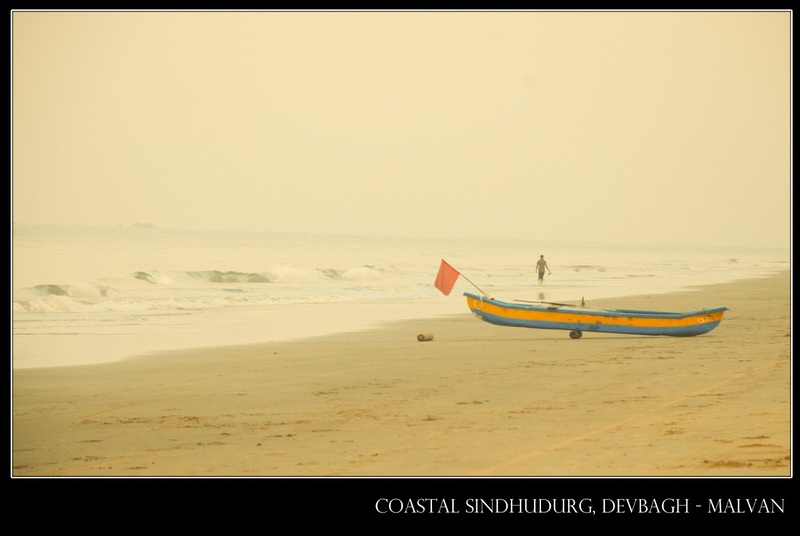 From My place(Chopdekar's Villa) is very near to this beach. You just come here and see. I tried to capture and show to the people,so everyone arrive here at least once in life. 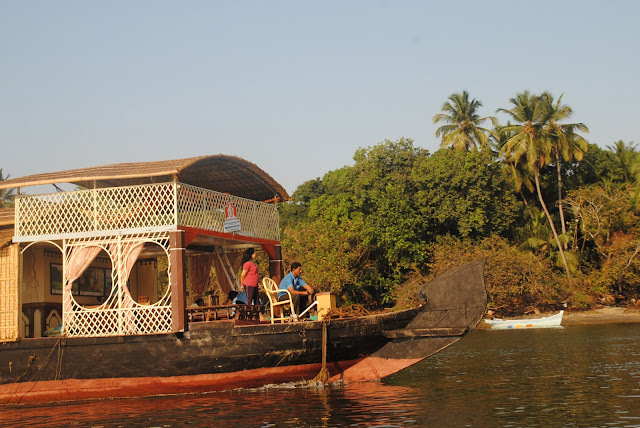 We offer boating facilities for the tourists so everyone can see Backwaters. 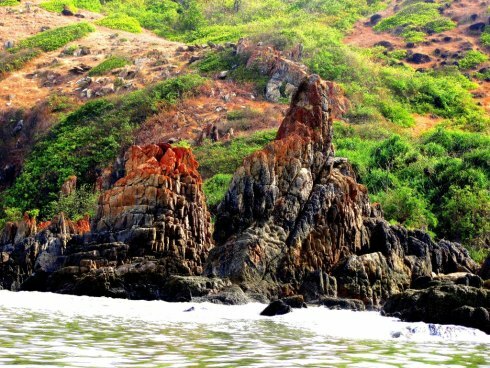 Tsunami Island is most spectaculars place for Tourists. 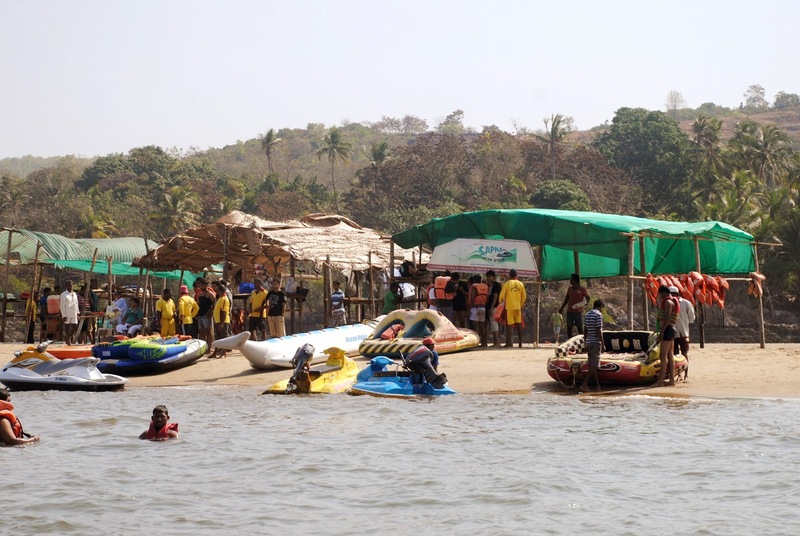 Our Chopdekar’s Sapna Water Sports in nicely situated on this island. 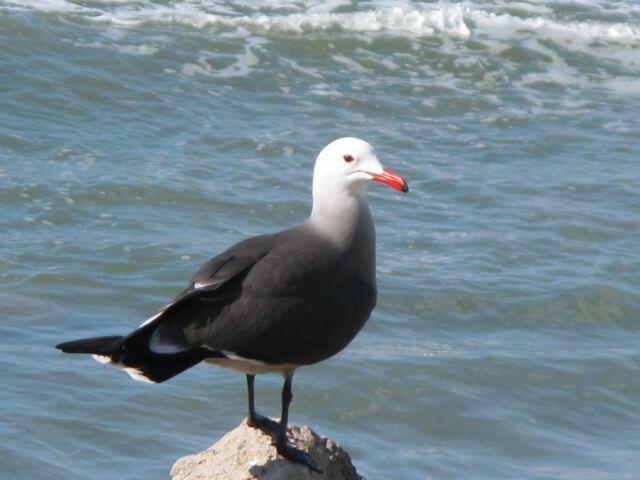 The island beach is safe to swim, as the water is shallow. Recently, this place has become centre of extreme water sport activities like Speed boat, Jet ski, Bumper ride, Banana ride,Water-scooter,Kayaking,Dolphin ride etc. It has received overwhelming response from the tourists. My Place is in great Danger as the Sea waves are constantly cutting the shore. 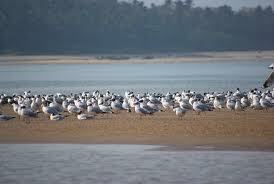 This place is God gifted.In this place we find the merger of two water bodies Arabian sea and Karli creek. 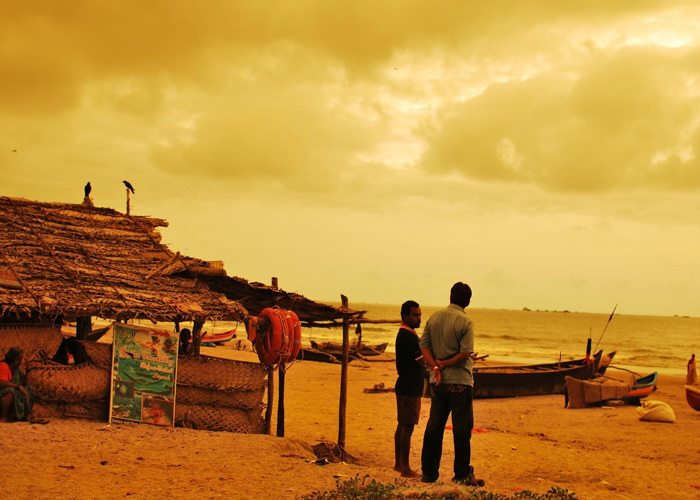 Popularly known as "SANGAM".Population is @5000 people.Famous for virgin sandy beaches & unspoilt beauty. The name DEVBAG means Devachi bag i.e.Gods garden. Fishing is the main business. 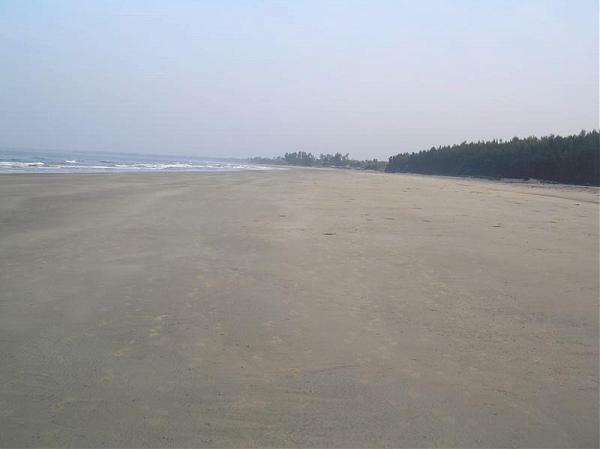 Very nice beach, with MTDC resort on the beach. you will have fun staying here. This Beautiful and clean Village situated Just 10 to 12 km from Malvan. 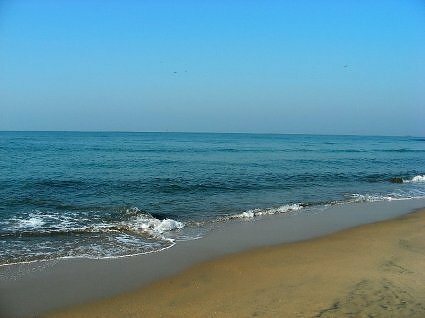 Having a Sea Beach for Scerene and calm, just the place for the person, fed up of city life.. lush green surroundings and golden sands. Now enjoy konkan's beauty with watersports. Chopdekar's Sapna Watersports provides a variety of water rides. 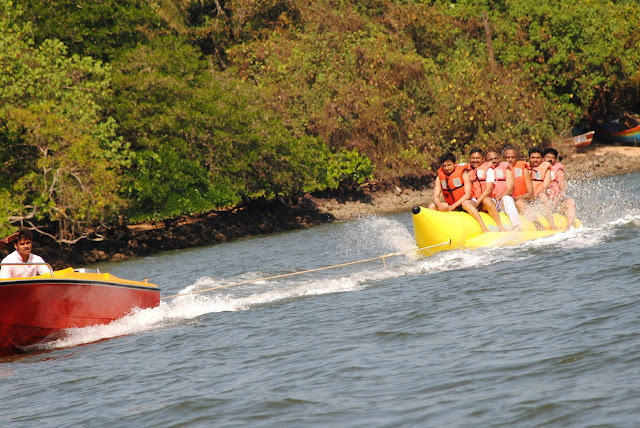 Zoom across the blue water of the Karli Khadi Arabian Sea on an inflatable banana boat ride in Devbag Tsunami Island. This is the perfect Family fun for every one’s vacation. 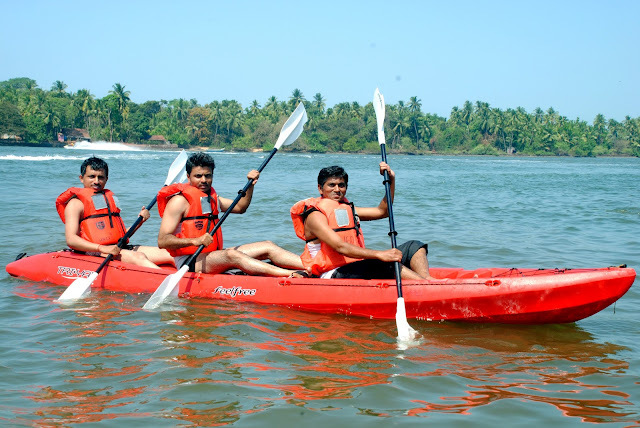 Now enjoy Konkan's beauty with adventure. Jetski Rides are one of the many fun things to do at Devbag Tsunami Island. Our experienced staff will provide through instructions to make the most choice Jetski riders and drivers feel like experts. Each Jet ski rental provides a stable and comfortable ride for up to 2 passengers with a combined weight of no more than 400 lbs. Wave runner safety features include: a fire extinguisher a whistle, mandatory life jackets, and lanyards (kill cords). The kill cords are worn around the driver's wrist at all times so that if the driver slings himself off, the jet skis will turn off until you get back on! Jetski Rides are one of the many fun things to do at Deobag Tsunami Island. Our experienced staff will provide through instructions to make the most choice Jetski riders and drivers feel like experts. For those who like little more speed and adventure, than the centre’s fast furious Bumper Tube ride is the perfect choice for you with space for two to three passengers. Enjoy the speed on the sea. 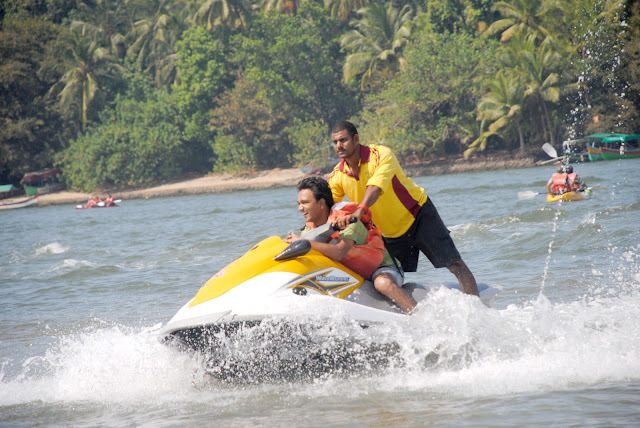 Experience the beauty of Konkan with the WaterScooter Rides. Speedlovers enjoy it the most. Our timing from morning 7.30am to 7 pm. we have 26 members in our team which works at Tsunami island. All are really working very hard,intensively,trying to fulfilling tourists needs. I would like to thanks all our team-members.They really work from morning to night. Guys! You are really doing wonderful job. 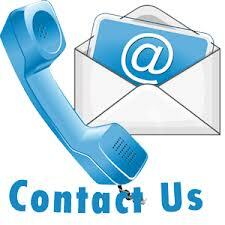 Just as our business evolving, so are the needs of our customer. It is an exciting time and business is counting we have designed two new global packages that will connect with customers through strategy and innovative programme. Our new packages is designed to create simpler, end-to-end processes in alignment with our new organisational roles and responsibilities, reduce churn and expedite decision making. It also will help to keep our customer at the heart everything we do. Today we are poised to deliver great result , we will continue to lead the industry as world class Water Sports – one that is integrated , focus, and efficient. Corporate responsibility lead by Mr. Mohan Chopdekar, Mr.Jayant Chopdekar, Mr Sanjay Chopdekar, Mr.Sopan Chopdekar……..
Commercial Marketing lead by Mr.Sopan Chopdekar,Mr.Ninad Chopdekar……. 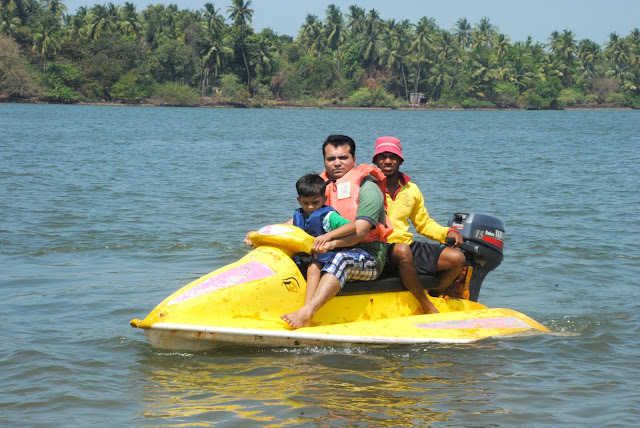 We will like to thanks and Congratulate them on all contribution theirs made in Chopdekar’s Sapna Water Sports . sustainability programme world wide including managing stake holder relationship and reporting for corporate responsibility to do the good for people and planet. A guide for travelling by road. From Pune, you can take NH 4 and start your journey towards Kolhapur. Once you reach Kolhapur, you should take SH 115 (route via Gaganbawada) to reach NH 17. Once you take NH 17, move towards Kankawali and keep driving till Kasaal. From Kasaal take a right, it will lead you to Malvan Bus stand, which is about 30 km away. 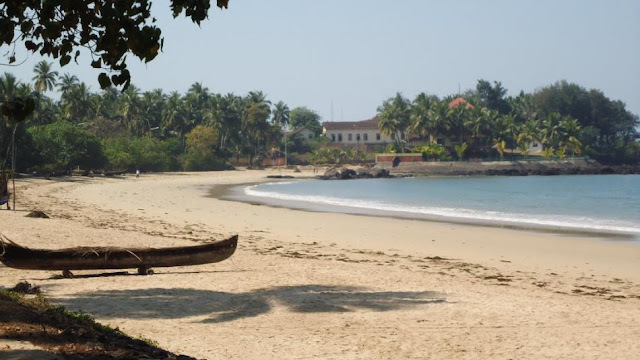 After Malvan Bus stand, take a left turn to reach MTDC Tarkarli and keep driving straight crossing Tarkarli jetty on Karli river, then Datta Samant English school at Devbagh. Further on two kilometers you will reach Chopdekar Home. 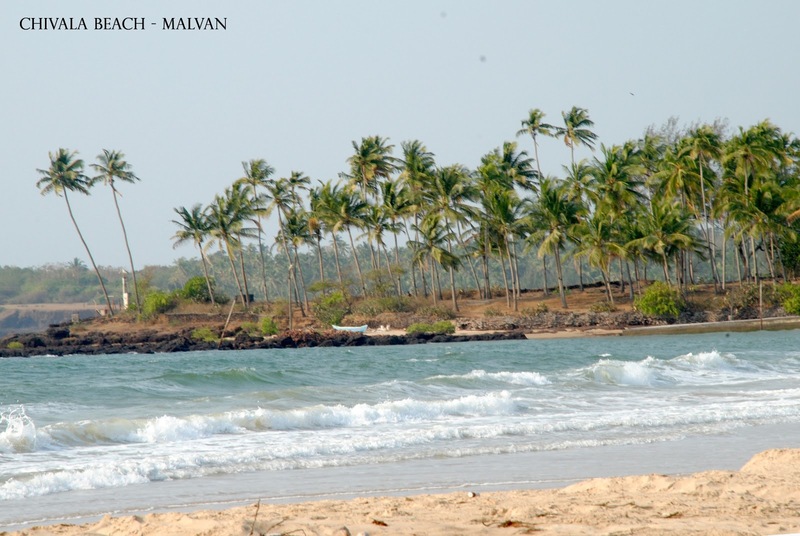 Kudal is nearest railway station to reach Malvan. From Kudal Railway Station Bus and Auto Rikshaw services to reach Malvan are available. The host can arrange a special vehicle from Kudal to Devbag, if requested.